As a 501c3 non-profit organization, Lakota Funds greatly appreciates any level of giving. Donations are tax deductible as allowed by law. Native community development financial institutions are a largely overlooked and low risk avenue to socially responsible lending. As a 501c3 non-profit organization and a Native CDFI certified by the US Treasury, Lakota Funds has a proven track record for bringing a financial return along with documented community impact. Our unique but effective risk management strategies result in excellent loan portfolio performance. Lakota Funds uses investments to lend to Lakota entrepreneurs who have demonstrated the desire and motivation to bring their business to life through a comprehensive planning and training process. 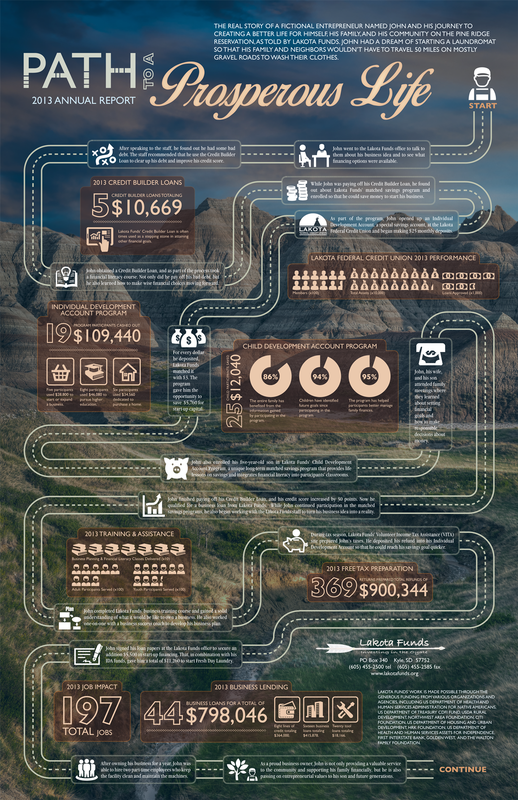 By investing in Lakota Funds you are putting money directly into new and expanding businesses on the Pine Ridge Indian Reservation, creating jobs, and providing much-needed goods and services, potentially touching the lives of hundreds of Oglala Lakota people. We offer our investors flexible rates and terms, but most of our investments are repaid within a 3-year period with an average interest rate of 2.5%. 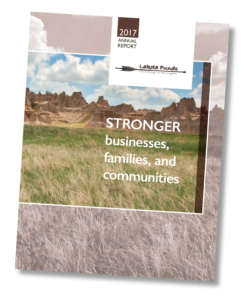 Our 2017 annual report, themed "Stronger Businesses, Families, and Communities," features a variety of success stories, accomplishments, and community impact statistics to provide you with an understanding of how Lakota Funds’ holistic approach creates change within our service area.